Houses & Homes VA: Do you know which president was the best (and worst) for homeownership? Do you know which president was the best (and worst) for homeownership? While it’s true that no president is solely responsible for the state of the housing market during his term in office, it should be noted that the economy in general is a result of the many decisions that the president makes during that time. A new study by economist Dr. Roger Thomas reveals which presidents were in office during the best and worst times of the real estate market from 1965 to the present. Dr. Thomas carefully studied housing data from the U.S. Census Bureau from the last 50 years and found some very interesting results. According to the data the market was in an upward cycle from 1965 all the way to 1980 before it began to experience a mild decline for approximately a 5 year period. From 1986 until June of 1994 the report describes the U.S. housing market as being in a “relative lull”. That is to say that it experienced a very slight rise from 63.8% to its highest peak of only 69.2%. Since that time in 1994 home ownership has actually been on the decline and as of the first quarter of this year was only 63.7%, still considerably lower than the number of people that owned their own homes in 1994. So, which president was in office during the times that the most Americans could afford to buy a home of their own? Bill Clinton was the top executive during the biggest housing boon of the last 50 years and at that time there was a 5.1% increase in home ownership throughout the country. 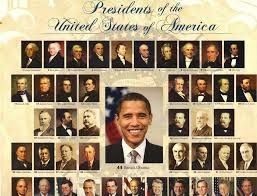 At the opposite end of the scale is our current president, Barack Obama. During his years in office home ownership in the United States has declined 5.3%, the largest decline in the market for any U.S. president. The second largest decline was during Ronald Reagan’s presidency. At that time home ownership decreased by a considerable 2.7%, making it the 2nd worst decline in history. Jimmy Carter’s administration saw a 1.1% decrease during his presidency and Lyndon B. Johnson was quite the opposite at a 1.1% increase.